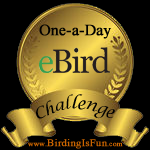 This entry was posted in Birding, Birding Events, General Birding, Spring, Summer and tagged Bird Studies Canada, Long Point Bird Observatory, Young Ornithologists' Workshop. Bookmark the permalink. Oh Prairie Birder – YOU are the perfect person to go to these workshops at Long Point. Congratulations. You will have such a marvelous time. Long Point is an amazing spot – you will learn so much from the great team there and have a field day with some of Ontario’s birds… again Congratulations! H U G E Congratulations PrairieBirder!! Woohooo! Congratulations!! That’s sounds like a terrific honor and opportunity! I’m sure you’ll take advantage of every second you’re there, and see lots of wonderful new things. I can’t wait to read all about it! Thank you all very much for your kind words. I am very excited to go and I can’t wait to blog about my adventures in Long Point. Congrats! I spent a month banding at Long Point and you will love it. I hope you get a lot of lifers :) Wait until you visit the tip, it’s fantastic! Just catching up on some blog reading ….and saw this! Congrats! This is going to be such a great experience. I’m so excited for you!